The Safco Steel Wall File Rack is a single wall-mounting file organizer that provides style and function. 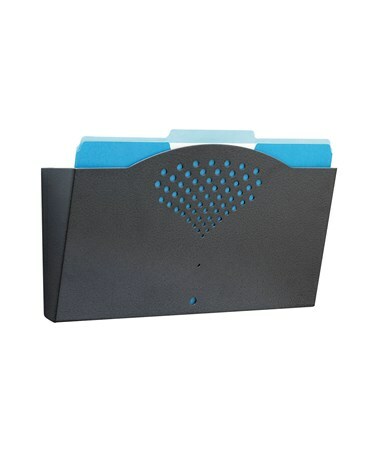 It can hold letter or legal size charts, documents and files depending on the size of the unit. 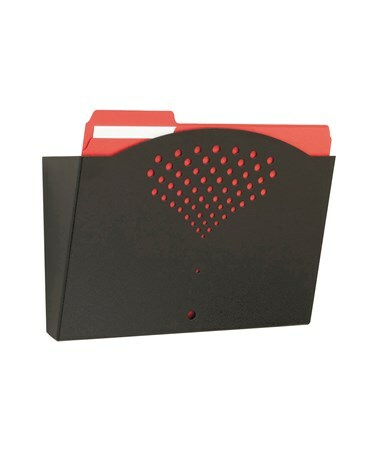 With this wall pocket, the documents will stay visible and easily accessible. It is nine inches high and three inches deep. 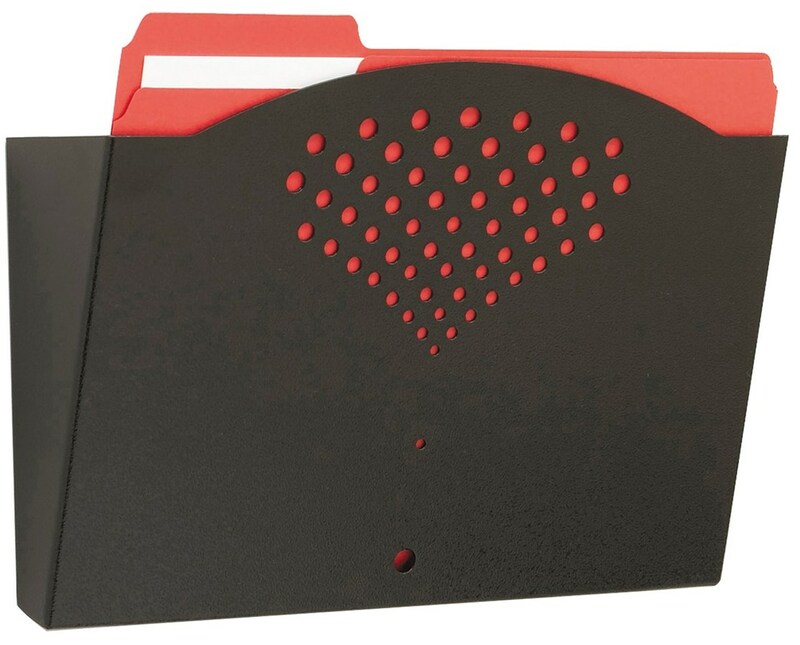 This file rack is made of steel with a curved and perforated front design and a powder coat finish. It is also safe for indoor use as certified by GREENGUARD. Also included is the mounting hardware for easy installation. The Safco Steel Wall File Rack is available in two different sizes. Please select your preference from the drop-down menu above.